Four years ago we retired to Tacoma, WA, after living our entire adult lives in St. Louis, MO. We love our life here at the tip of Puget Sound, with the beautiful Commencement Bay just a few blocks away. 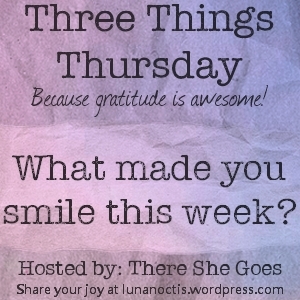 Here are three things we’ve seen recently in our travels out and about. 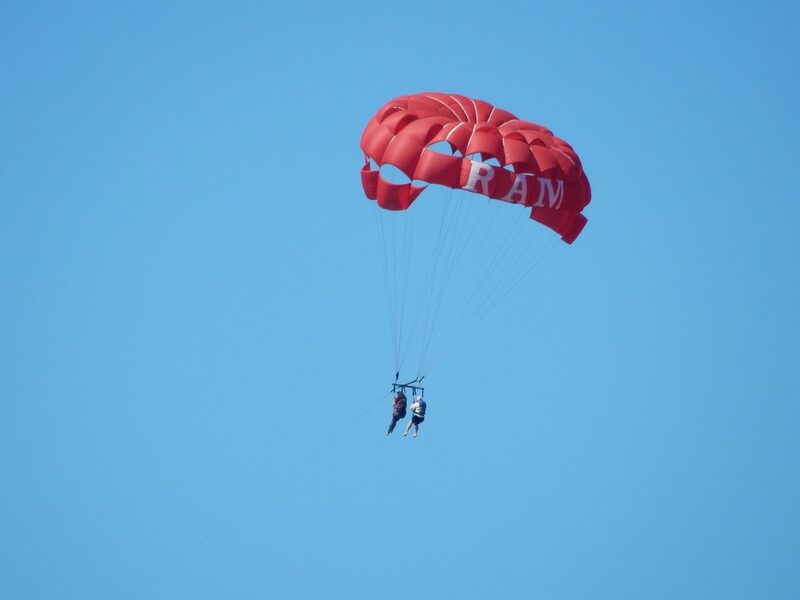 All summer long we see this red parachute out over the water as a boat pulls one or two people along for the ride. When I was much younger, I might have wanted to try this. But I am now well past the age when such an adventure appeals to me. It does look like a lot of fun, however. I used to worry about how those people on the ‘chute got safely down, but one time we got to watch the landing process. The boat reeled the passengers in, and the landing looked easy as pie. Still, I’ll pass, although I’m sure the view from up there is spectacular. We’re guessing that these were Native American canoes, although I couldn’t find any references to a particular event in the local newspaper. 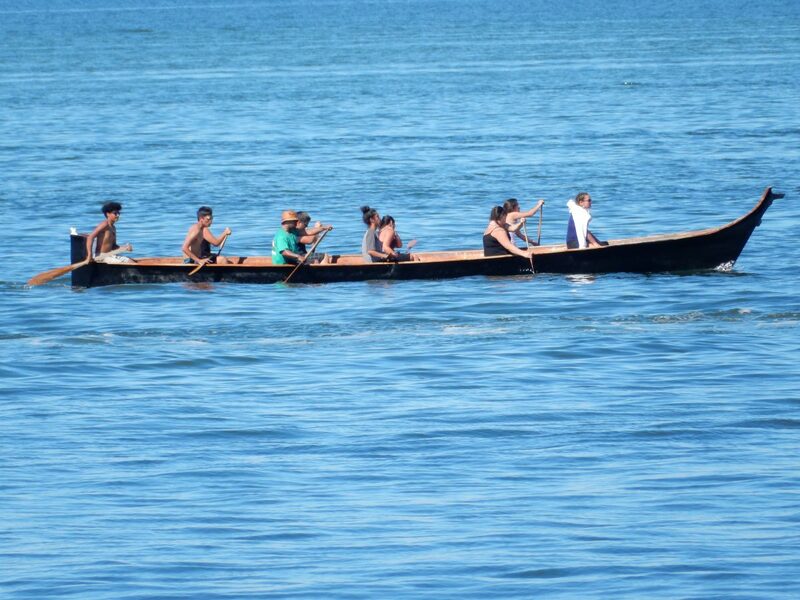 How lucky we were to arrive for dinner at the same time the canoes were going by. Although we tried looking through binoculars from several angles, we couldn’t see a nest, messy or otherwise. 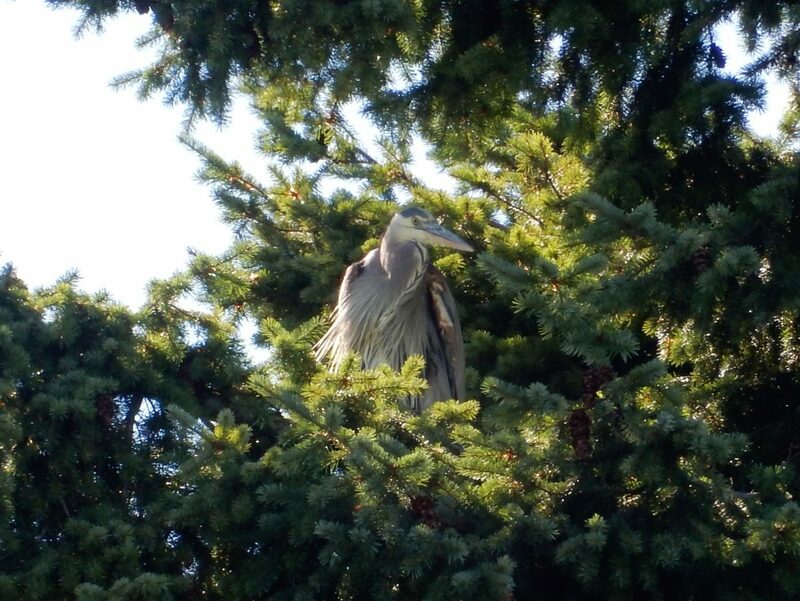 But since the heron stayed up there in the same place for quite a while, we assume we were looking at a female sitting on her nest. 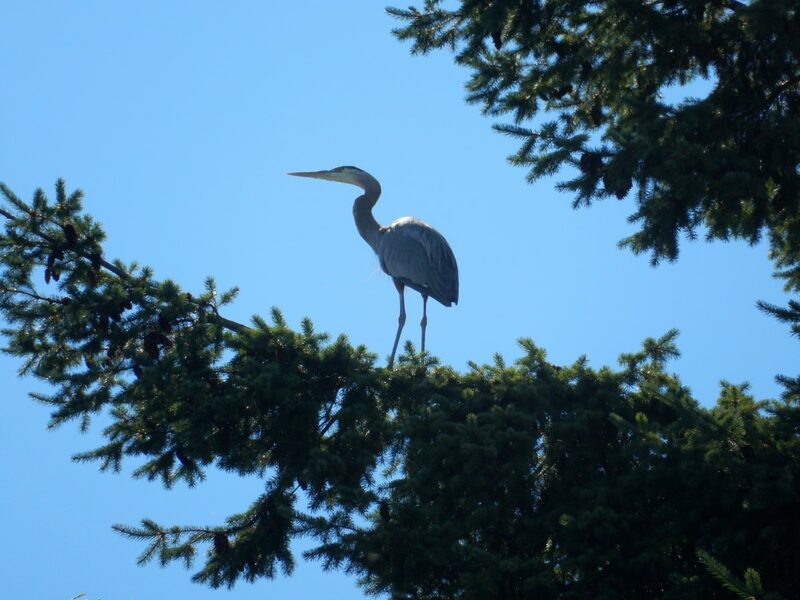 You’d never be able to find a heron in a tree unless you heard it approaching and saw it land. Someday I hope to see a Great Blue Heron walking along the water followed by her chicks (or whatever heron hatchlings are called).